My sister Natasha found this recipe several months ago and gave it to me – not so much for the blog but solely for her. She likes her treats. So I filed it away and didn’t think much about it until I unearthed it a few weeks ago and thought that I would give it a shot and boy, am I glad I did. I’m not quite sure of the science behind what happens to these things in the oven but I think its kinda magical. You put a cross between and lemony custard type batter in to the oven and you get a custard cake out. 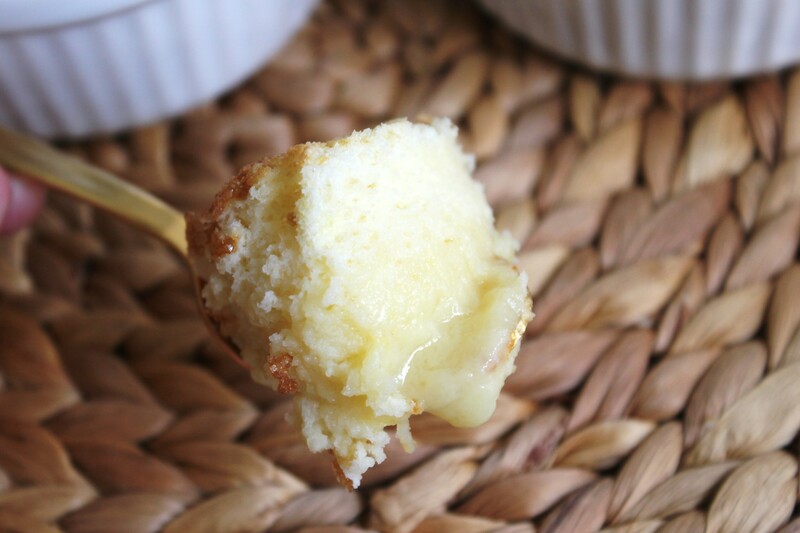 The top is lemony light cake and the bottom is rich, luscious lemon custard. It’s magical. I think this has to be my favorite new dessert. I’m not kidding. Start out with your lemon mixture. Gently fold in the egg whites in several additions. Sprinkle the sugar on the top of the mixture. Bake in the oven until golden on top. 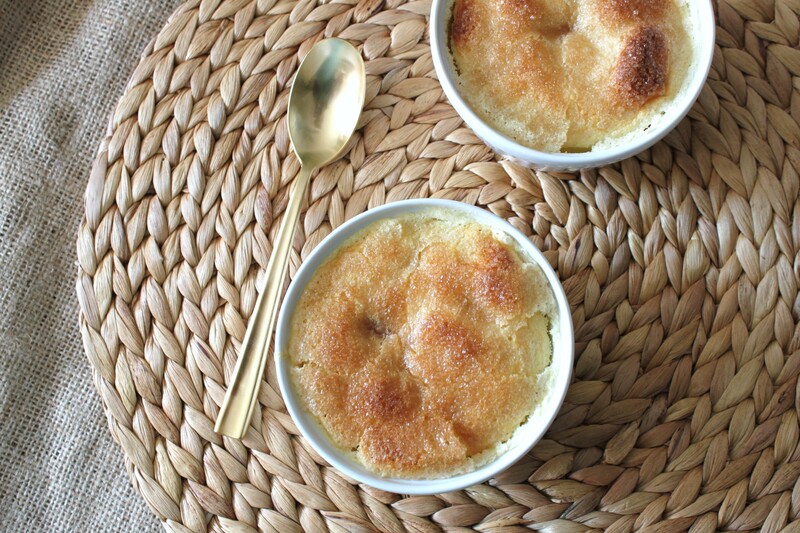 Place six 4-ounce ramekins or a 2-quart baking dish inside a large roasting pan. 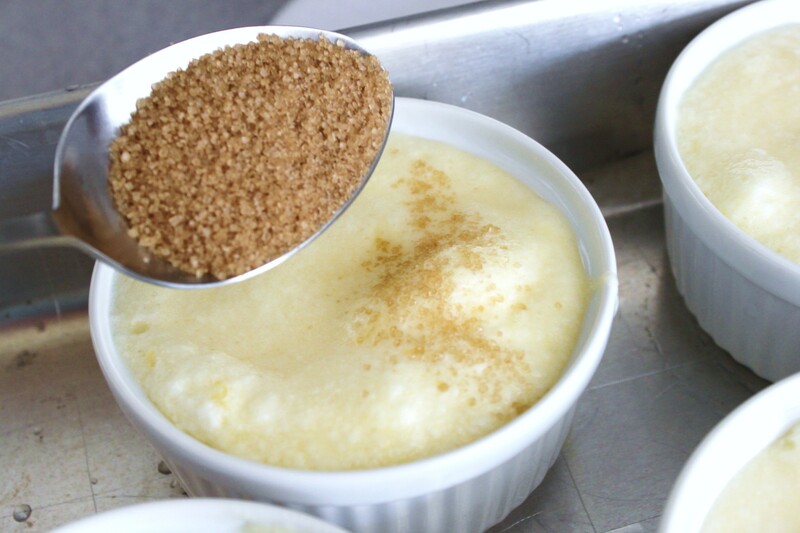 In a medium bowl, whisk together the granulated sugar and flour; set aside. 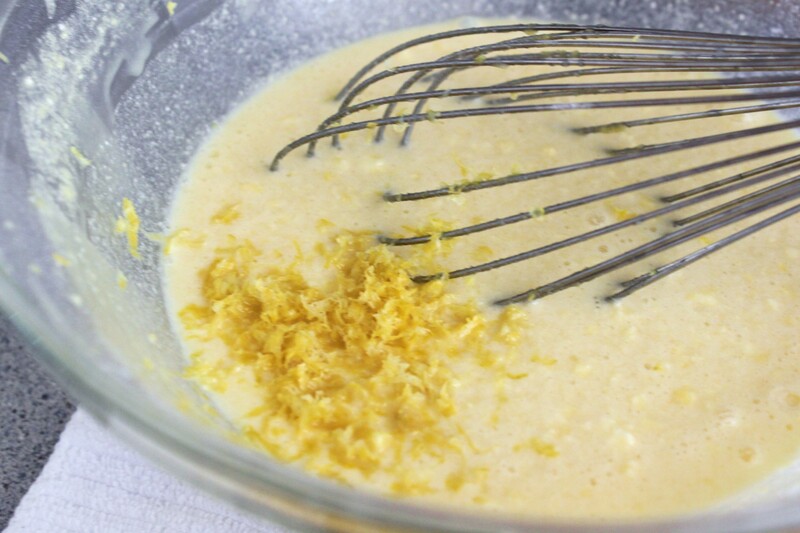 In a second medium bowl, whisk together the egg yolks and butter until combined. Whisk in the milk and lemon zest and juice. Add the lemon mixture to the sugar mixture and whisk until smooth. 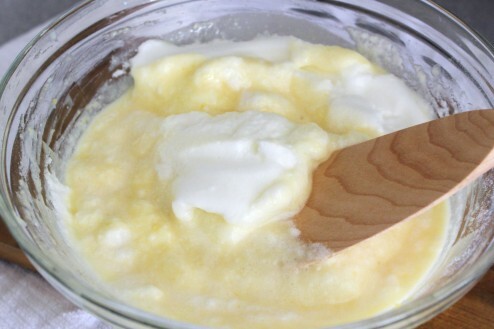 Using an electric mixer, beat the egg whites and salt on medium-high until stiff peaks form, 2 to 3 minutes. Gently fold the egg whites into the lemon-sugar mixture in 2 additions. Divide the pudding mixture among the ramekins or pour into the baking dish. Dividing evenly, sprinkle with the turbinado sugar. 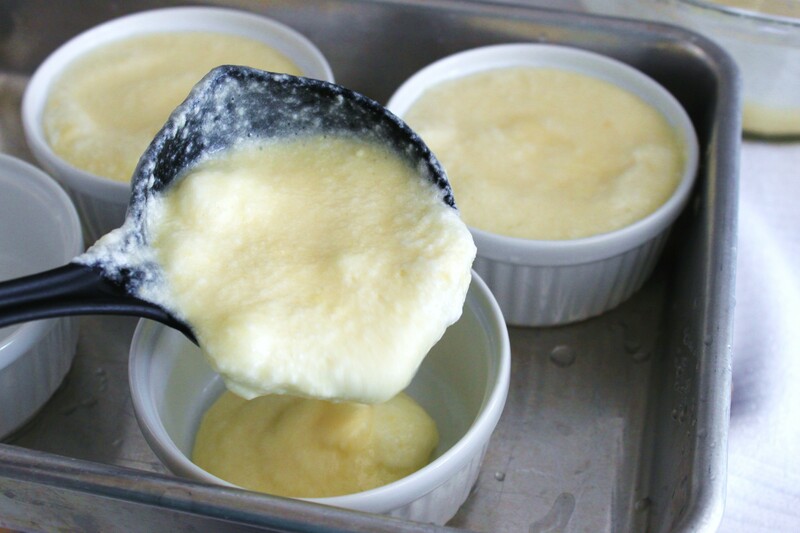 Add just enough hot water to reach halfway up the sides of the ramekins or baking dish. Bake until the tops are golden brown, 40 to 45 minutes for cakes in ramekins and 30 to 35 minutes for a cake in a baking dish. I love that I stumbled upon your post. My mom would love these custard cakes too. she adores lemon.